With the exception of Division 3 where one round six game is outstanding, we're down to the final round of games in the Allianz football leagues this weekend. Here's how the promotion and relegation picture looks . . . 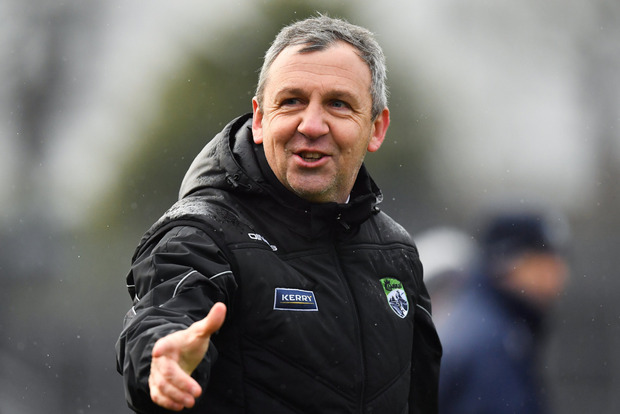 There are four teams still in with a chance of making the league final with Kerry in pole position as they need just a point from their game with Roscommon. However, they will automatically reach the final unless both Mayo and Galway win, in which case it would come down to scoring difference between the three counties. Mayo can reach the final if they beat Monaghan and Galway fail to beat Tyrone. Tyrone's win in Croke Park last weekend means they are still in the hunt but they need to beat Galway and Monaghan to see off Mayo. The relegation spots will be filled by two of Cavan, Monaghan and Roscommon. Cavan are still alive but need an unlikely sequence of results, starting with a win over Dublin. The Breffni also need Mayo to beat Monaghan, and Roscommon to draw with Kerry to bring the issue down to scoring difference. Monaghan need to beat Mayo to ensure they are in the top flight for a sixth consecutive season. Roscommon need Mayo to beat the Farney. To return to the top flight, Meath need a win or a draw against Fermanagh. Donegal welcome Kildare to Ballyshannon and both teams know that a win there and a victory for the Royals will bring them back to the top flight. Meath could be forced out of the promotion picture if both Fermanagh and Donegal win. In that scenario, score difference would come into play though the Royals lead the way there too. At the other end of the table, Clare, Tipperary and Cork all sit on three points. Cork need to beat Armagh and hope that Tipperary beat or draw with Clare. A win is enough for Clare, while Tipp need a win and Cork to drop points. This is the most complicated of the four divisions as the Louth versus Westmeath game was postponed last weekend. Down will secure promotion if they draw with or beat Louth at home. However they can still go up if Longford beat Westmeath and Laois beat Carlow. That scenario would also see Laois promoted. However, if Westmeath beat Longford, their outstanding game against Down will have to be played. The picture at the other end of the table is a lot clearer as Sligo's relegation has already been confirmed. Offaly or Carlow will join them. Offaly need to beat Sligo and hope Carlow lose to Laois. The basement division has been clear since round five with Leitrim and Derry heading for Division 3.